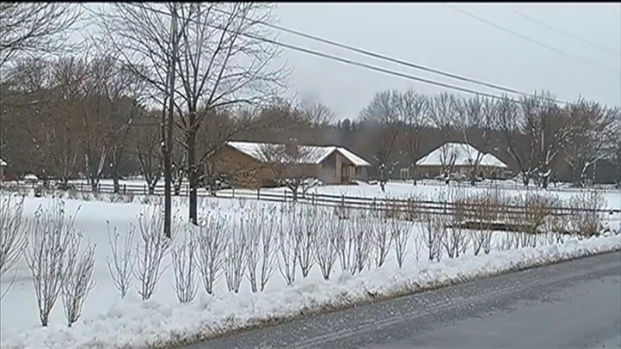 Tens of thousands of Virginia households remained without power Thursday morning, after a day of wet, heavy snow brought down power lines and snapped tree branches. Outages were most widespread in the Shenandoah Valley, where snow fell steadily all day Wednesday. Dominion Power said a majority of those who lost power have had it restored, but in the Shenandoah Valley, more than 40,000 were still waiting. "We're last, I guess," said Gainesville resident Steve Ways on Wednesday night. 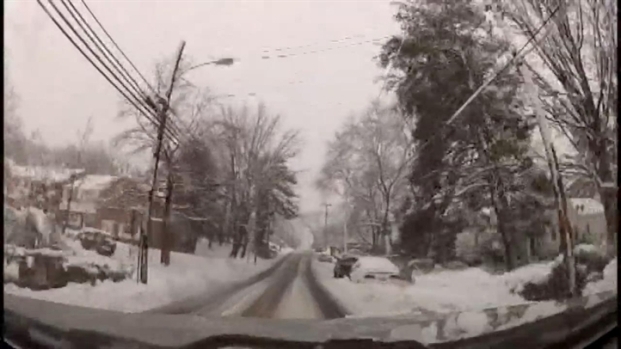 The winter storm caused many accident in northern Virginia. Bureau Chief Julie Carey has the story. About a foot of snow was on the ground Wednesday night, but 30 feet up in the air, a broken power pole turned out the lights. "I heard the snap, but my power never out out," said Gainesville resident Ben Waywright. "It flickered like five times, but it came right back on." Ways, though, is dealing with the darkness, but he told News4's Richard Jordan that he's making the best of it. "We have a nice fireplace that everybody's kind of hugging up to, and we have our hot water, because that's... [powered by] gas, and I think everybody's doing OK."
Power outages, accidents and downed trees cause problems in Fauquier but some people make the most of a late winter storm. Northern Virginia Bureau reporter David Culver has the story of a snowy Harlem Shake. Dominion Virginia said 6,810 customers in Northern Virginia were without power. In the Shenandoah Valley area, that number is more than 41,000. NOVEC had 1,269 customers without power in Fairfax, Fauquier, Loudoun, Prince William and Stafford counties. Rappahannock Electric Cooperative had about 16,000 outages in Culpeper, Fauquier, Spotsylvania and Stafford counties. Pepco reported only two outages in Montgomery County. In advance of the storm, Pepco requested more than 300 mutual assistance personnel from out of state to join the utility's 450 overhead line contractors and 300 tree contractors in trimming and restoration work. Crews from Alabama and Georgia began arriving Tuesday. 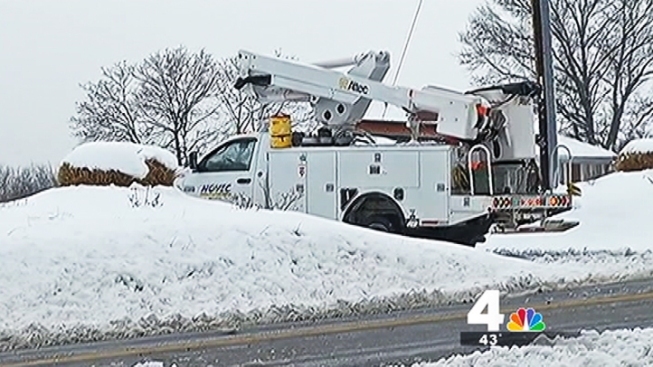 "We are preparing for the possibility of widespread outages and we ask our customers to prepare now as well," Pepco President Thomas H. Graham said Tuesday. Dominion Virginia Power alerted out-of-state utilities it might require help. The utility also mobilized crews to the Interstate 81 corridor Tuesday, the Associated Press reported. Out-of-area personnel had packed motels in Warrenton as of Wednesday morning. "We expect [the storm]'s going to have a pretty profound impact on the western and northwestern part of the state, so we've already begun sending crews from areas least likely to be affected so that they can be in position before the storm arrives," Dominion spokesman Karl Neddenien said Tuesday. "We're going to do what it takes to get ready for the storm to keep the lights on and, when outages occur, to get them on as quick as we can." BG&E made an initial request for an extra 500 utility workers and will monitor the situation to determine if they need more.